Fusing a timeless shape with richly embroidered details, this sophisticated statement top nods to handicraft and authentic artwork. 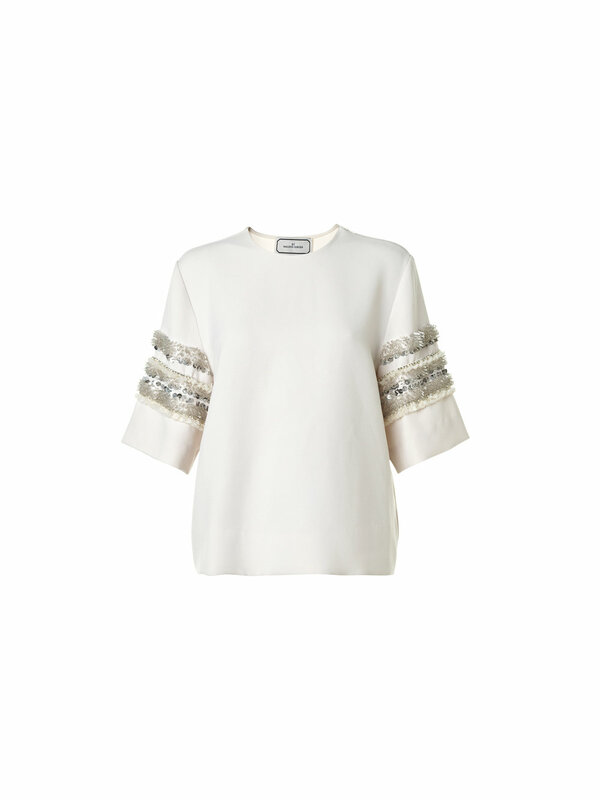 Cut from heavy gauge stretch polyester that skims your curves for a flattering fit, the cropped sleeves are embellished with handcrafted artwork – rows of delicate sequins, tassels and beads. Style with minimalist tailored wide leg pants and fringed heels.